"How do other countries create smarter kids?" 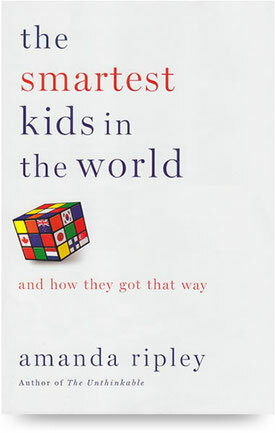 That question is Amanda Ripley's basic premise in her book, The Smartest Kids in the World: And How They Got That Way . While the book has many useful ideas about how to educate children, it is the author's decision to follow "three Americans (high school students) embedded in these countries for one year" that make it a must-read. Their perceptions are enlightening and enable the reader to experience what works and what does not work within our education system. The book's appendix has tips about "how to spot a world-class education" and includes excellent observations and questions to ask the principal and the students. "What are you doing right now?" and the clincher "Why?" She found that many students could answer the first question but not the second. To find out why the second question is so important to learning, read the book.